Chrysler is on the fast-track to the 21st century with the ESX2, a polymer-intensive vehicle that, if all goes well, could be ready for volume production by 2003. The Dodge Intrepid ESX2 employs a body material that is typically used to produce beverage bottles. This sleek vehicle, which employs a direct-injection diesel engine combined with an electric motor setup, can provide up to 60 mpg. It may be "production ready" within five years. This two-door roadster, the Pronto Spyder, features a PET body. Chrysler Corp. is aggressively pursuing the ways and means to provide vehicles that are (1) safe, (2) roomy, (3) extraordinarily fuel efficient, (4) peppy, (5) stylish, and last but certainly not least, (6) affordable. The most recent example of its efforts is a truly stunning concept vehicle, the Dodge Intrepid ESX2, which the automaker unveiled at the North American International Auto Show this past January. Some people might think, "Oh, concept cars are nothing more than show business, about as likely to go into production as the Batmobile." But Chrysler, especially within the last few years, has had quite an impressive track record when it comes from taking vehicles that were once show pieces and translating them—with but slight modifications—into production cars. Two examples of this tendency are the Dodge Viper and the Plymouth Prowler. Not only are these two vehicles out-of-the-box with regard to their design, but they are also envelope pushers in terms of technology, with the Viper being a vehicle where Chrysler is making body panels with resin transfer molding technology and the Prowler being an exercise in aluminum implementation (from the frame to the skin). So the ESX2 should be considered as something far more than a stylist's dream come to life. In fact, according to Bernard Robertson, Chrysler's vice president-Engineering Technologies and general manager-Truck Operations, "If we meet all of our objectives and overcome the remaining hurdles, the ESX2 could be production ready by 2003." Asked to define "production ready," Robertson explains, "That means that the process would be ready to go, that we'd have done low-volume production." It should be noted that the hurdles that Robertson is referring to are non-trivial; they're the sort of thing that even an automotive analogue to Jackie Joyner-Kersey would have a tough time getting over. Back in '96, the ESX was introduced. Robertson noted, "We estimated the cost penalty of our first hybrid concept—Dodge Intrepid ESX—to be about $60,000 per vehicle and the good news is that progress with ESX2 moves that cost penalty close to $15,000. The challenge for us is if we successfully prove out the technology but a $15,000 cost penalty remains, it's a real show stopper. Customers are not willing to pay $15,000 more for attributes like better fuel efficiency. They want it for free. "No company has solved the cost penalty, and for an automaker to simply eat the cost is not a viable, long-term solution for automakers or consumers. The prohibitive cost of hybrids demands that we look for innovative applications and unconventional thinking, and that's what ESX2 explores." One of the current problems with producing vehicles that are equipped with powertrains that aren't conventional internal combustion (IC) engines is that they tend to be heavy. The ESX2 has a comparatively light-weight power setup—at least as compared to other approaches to hybrids. "Hybrids," incidentally, are vehicles that rely on multiple sources of energy. In this case, it is an IC engine and a lead-acid battery/electric motor setup. Actually, Chrysler is calling the arrangement in the ESX2 a "mybrid," or mild hybrid. The main wheel-spinner is a 1.5-liter, 3-cylinder direct injected diesel engine. But there are also a battery and electric motor. They are used as a supplement, not as the prime mover—or even sometime mover (i.e., some IC engine/electric motor vehicles use the IC engine for things like city driving and the electric motor for cruising). In this case, the electric elements come into play in order to run the accessories (lights, air conditioning, etc.) and to supplement the diesel during hard acceleration (the 0 to 60 time is 12 seconds). But the power plant is still heavy, approximately 200 lb. heavier than a comparatively powered conventional power plant (most of the additional weight—133 lb.—is accounted for by the lead-acid battery pack). In addition to which, this advanced vehicle architecture is expensive. For one thing, Robertson points out, "Diesels are expensive. The fuel system on a diesel can cost as much as a whole gasoline engine." And the frame, compared to what's the norm in automotive production today, isn't cheap, either. One way that weight is being taken out of the vehicle is by building on the experience that they are gaining through the production of the Prowler. The ESX2 uses an aluminum frame, to which the powertrain and the body are attached. Because safety is a big concern nowadays (to say nothing of the regulations that exist to protect the less concerned), there are 75 lb. of aluminum added for impact protection. All of which comes at a cost. "The injection mold process allows us to do razor sharp edges, precise intersections and incised names and details," says Tom Tremont, chief designer for Pacifica, Chrysler's design studio in Carlsbad, CA. He's referring to the Plymouth Pronto Spyder, a concept car introduced at the 1998 North American International Auto Show. The Pronto Spyder, like the Composite Concept Vehicle (CCV) that Chrysler brought to the Frankfurt Auto Show, the Plymouth Pronto concept that was introduced at the '97 North American International Auto Show, and the ESX2, is produced with a thermoplastic body. Polyethylene terephthalate (PET) is the material employed. "PET technology," Tremont explains, "has the potential to reduce manufacturing costs by 80% over conventional methods using steel." The cost savings result in a projected cost that is said to be half of what an exotic mid-engined sports car would ordinarily cost. One thing that needs to be noted: The chassis material is high-strength steel; the 2.4-L engine block is cast iron. Ferrous materials aren't totally absent. 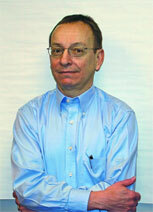 According to Larry Rybacki, procurement and supply executive for Chrysler's advanced engineering organization, Liberty & Technical Affairs, although involving suppliers in programs at Chrysler is the status quo, when work was initiated on the Composite Concept Vehicle (CCV), "The difference was that the suppliers were involved earlier than ever—at the invention stage." Weber Manufacturing Ltd. (Midland, Ontario), for mold design and building. These companies became involved with the ESX2, as well. LucasVarity (Livonia, MI), for the brake system. So, faced with these weight and cost drivers, Chrysler engineers sought a way they could at least make the body both light and inexpensive. They settled on polyethylene terephthalate, a.k.a., PET. PET is better known as the material used to produce soda pop bottles. But the material being used for the ESX2 is neither clear nor flimsy. It is a glass-reinforced material. This plastic composite is said to be 10 times less expensive than competitive composite materials on the market. Robertson says that the cost of this PET is about $1 per pound. Compared to steel, according to Robertson, the body structure is 37% lighter, which means that the powertrain, weighty though it may be, is still smaller than it would otherwise need to be if the composite wasn't used. Another factor in its favor: Chrysler and its Extended Enterprise partners on this project (see "Leveraging Experience") have familiarity with it, as it is the material being used to produce the Chrysler Composite Concept Vehicle (CCV; see Automotive Manufacturing & Production, Oct. 97). The advantages of the material, Robertson explains, are both straightforward and significant. First of all, whereas a conventional steel design incorporates some 80 steel parts, the ESX2 body structure requires just six pieces. This parts consolidation has a variety of implications. First up, fewer pieces means that less equipment—as in stamping presses and dies versus injection molding machines and molds—is needed to produce the elements. Although a stamping press produces parts at a much more brisk rate than an injection molding machine can pop them out, Robertson notes that they are capable of doing the required injection molding of the large composite panels with a three-minute cycle time, which they believe is suitable for production needs. Historically, it should be noted, the cycle time for parts of this type would be on the order of 10 minutes. There are other equipment differences. For example, spot welding robots are almost emblematic of today's body shops. But the composite body doesn't require welding, which is in itself a major cost—and space—savings. Reduced space means reduced material handling requirements. The process worked out for the CCV, which is the basis of the thinking for the processing of the ESX2, would be configured so that it would be a just-in-time process, with the parts being removed from the injection molding machines with robots (because they are hot and somewhat unwieldy until they have cooled), then moved along a comparatively simple chain conveyor system (six stations along the line and the panels are cooled and ready to be assembled almost like a toy car). Robots would also be used for applying adhesive, given the need to be assured of locational accuracy and repeatability. But that's about it automation-wise. Because of the way that the process is designed to flow, the storage requirements are minimal, as the plan would be to put parts right on the vehicles as they are being built. The ESX2 (like the CCV) doesn't require paint. The color is molded in the material. This eliminates the $350-million investment that Robertson says a paint shop would be. However, there's one thing about molded-in color: the thermoplastic comes out of the mold with a matte finish. And let's face it: whereas a matte finish is acceptable for consumer products like computers, when is the last time you saw anyone waxing their Pentium? Chrysler is doing market research to determine how consumers might feel about a matte finish on a car. And engineers are also hard at work developing a viable in-mold glazing technique. Overall, they've determined that they could produce 100,000 units from one plant for half the investment cost required for a comparative traditional assembly plant. Although the plastic material represents a boost over some of the cost hurdles, Chrysler and its partners have a long way to go between now and 2003. Incidentally: that cargo volume is actually 3 ft3 more than that provided by a 1998 Dodge Intrepid.